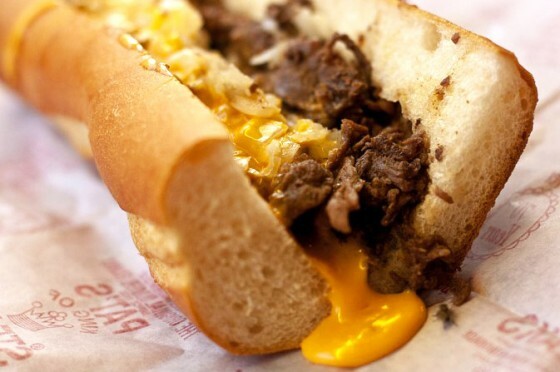 Why do our brains go crazy for the melted cheese on Philly's iconic gut-bomb, the cheesesteak? 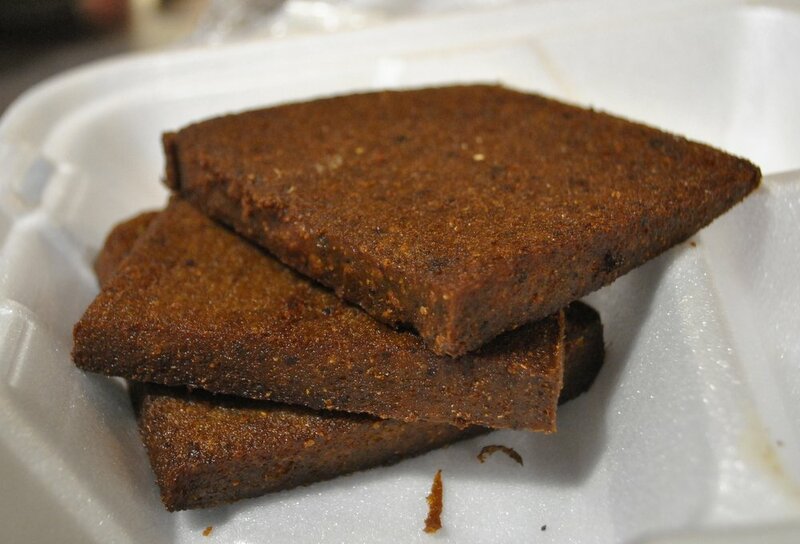 What is it about scrapple’s crispy fried goodness? 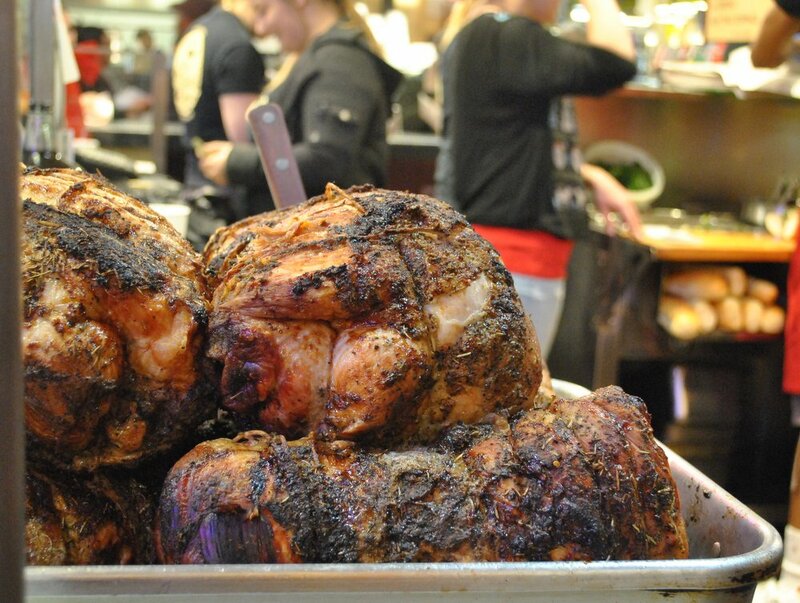 How does surface-area-to-volume ratio make the roast pork sandwich more delicious? 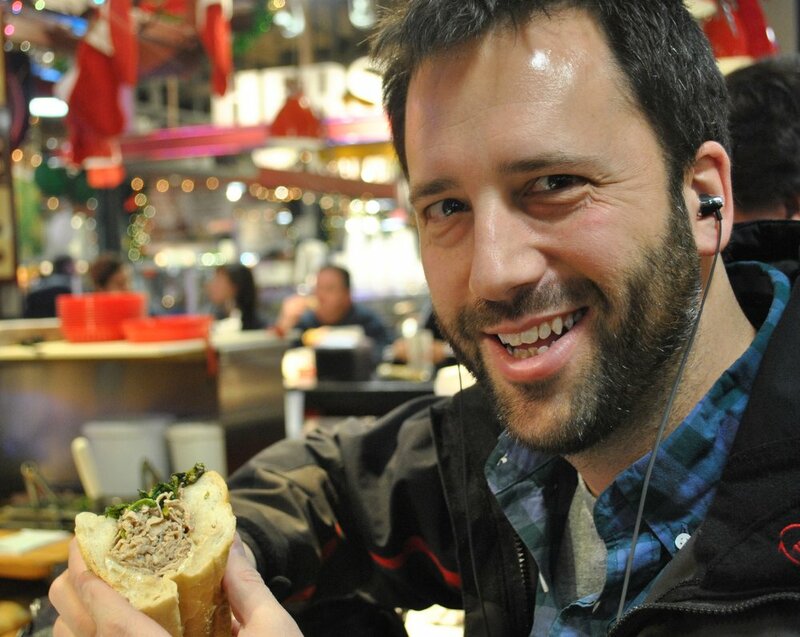 This week on The Sporkful, we take a road trip to the City of Brotherly Love to feast on some classic Philadelphia fare. But this episode isn't just about gluttony. We also learn about the science of appetite with a researcher at the Monell Chemical Senses Center in West Philadelphia. 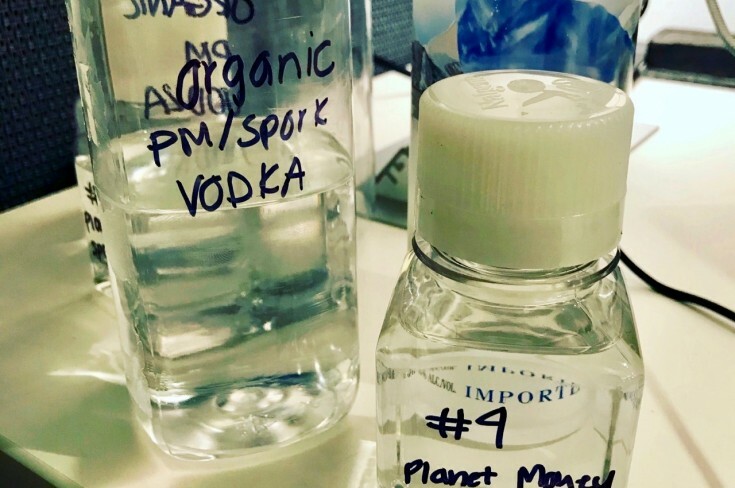 It's hard work, but we're making the big sacrifices for science at The Sporkful. It’s no accident that part of the word scrapple is "scrap." As you can see in the photo above, it sort of looks like a deep-fried piece of bread. 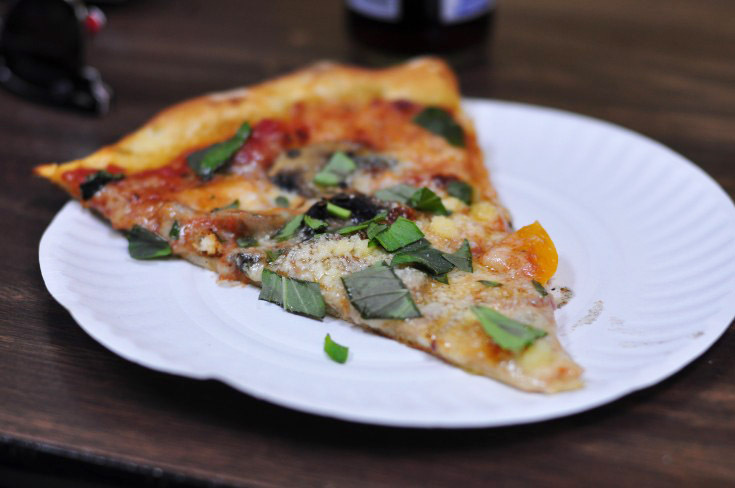 It’s crispy out the outside and soft and creamy on the inside. "There's nothing more Philly than scrapple," says one regular at the Down Home Diner. "It's hard to describe. You gotta taste it -- it's better than bacon." 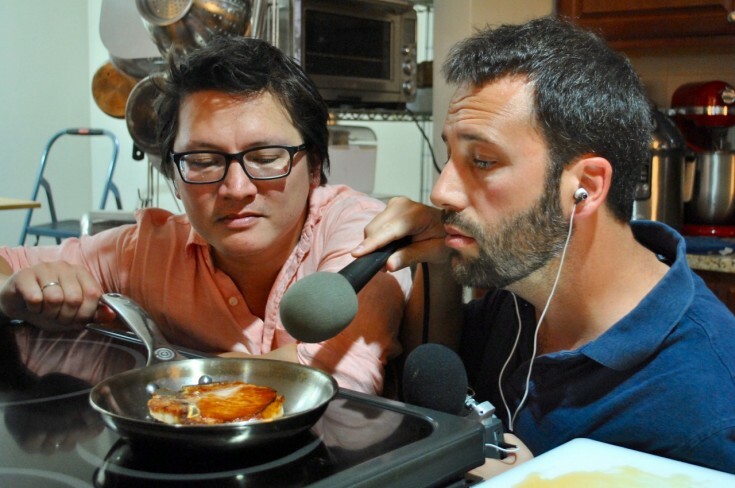 The key, as we learn in the episode, is pouring the juices from the pork on top of the sandwich and letting that soak into the bread. 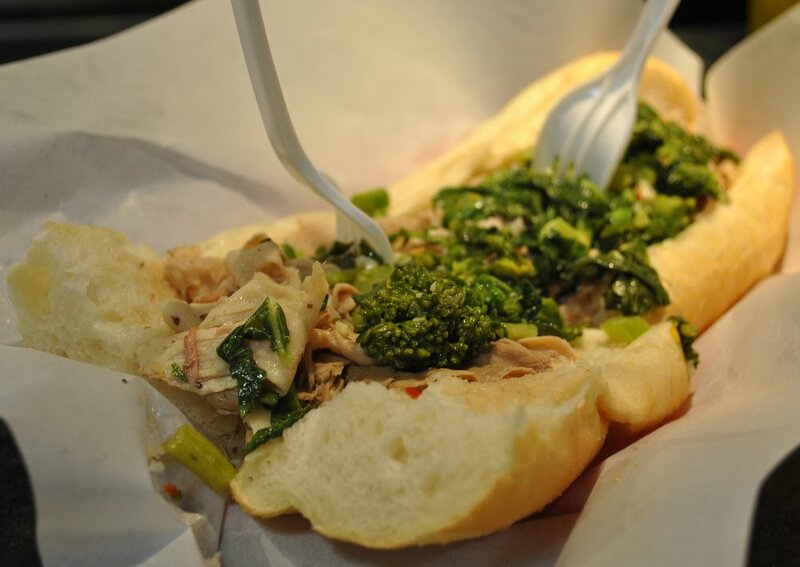 "I wasn't going home without this pork sandwich!" one DiNic's customer says. "It's the best I ever had...I love it." 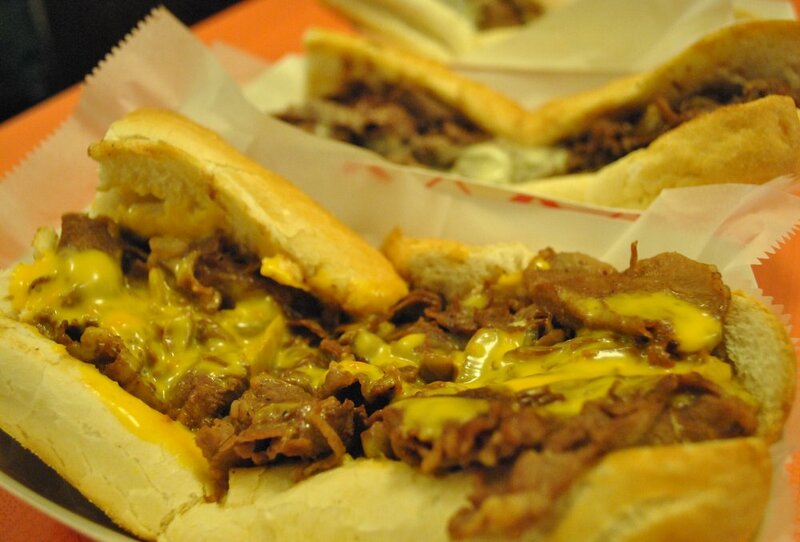 Then we head over to Sonny's in Old City to debate what makes a good cheesesteak. Meat and bread are important, but the key to this iconic sandwich is the cheese. 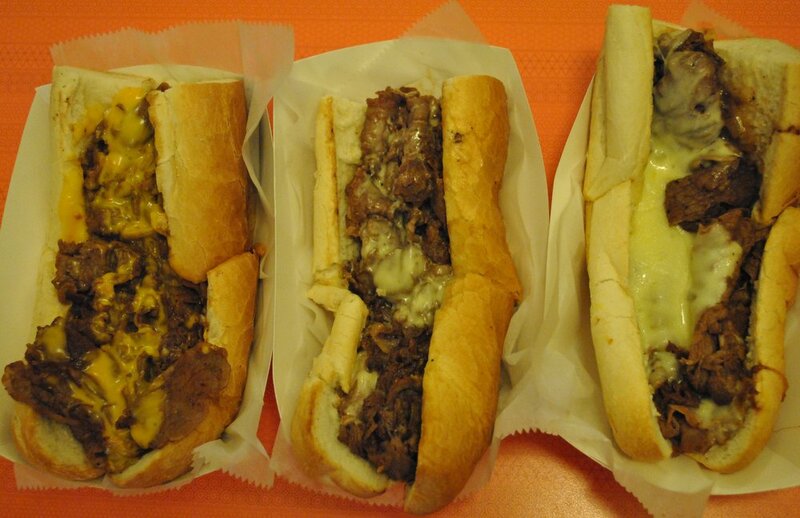 We take the Cheez Whiz vs. American cheese vs. provolone (shown below, left to right) debate to Sonny's customers. "As an African-American male living in Philadelphia, I have to say American cheese is the way to go," one Sonny's customer tells us. "I believe that the White man has a predisposition towards Cheez Whiz. The African-American male -- for some reason we can only eat American cheese. It gets that serious." Last stop: the Monell Chemical Senses Center, where we meet and eat with Dr. Marcia Pelchat. She studies food preferences and cravings and she's also a Philly native. Dr. Pelchat tells us why Cheez Whiz tastes so good on a cheesesteak and gives us a very serious, scientific name for scrapple's irresistible crunchy-creamy texture: dynamic contrast. "People like textures that change while they're in your mouth. Ice cream would be something you put in as a solid and it would melt," Dr. Pelchat says. "Or you can have a mixture of textures in each bite, and scrapple is a perfect example of that." If science were always this delicious, I'd have a Nobel Prize by now.